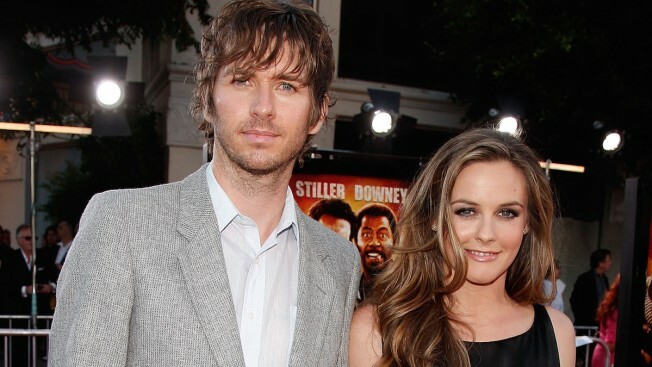 In this file photo, Christopher Jarecki (L) and actress Alicia Silverstone arrive on the red carpet of the Los Angeles Premiere of "Tropic Thunder" at the Mann's Village Theater on August 11, 2008 in Los Angeles, California. Silverstone is divorcing her husband of nearly 13 years. The "Clueless" actress filed for divorce from Christopher Jarecki on Friday in Los Angeles County Superior Court. The papers cite irreconcilable differences as the reason for the split, and say spousal support will be based on a prenuptial agreement the couple signed when they were married, without giving details.